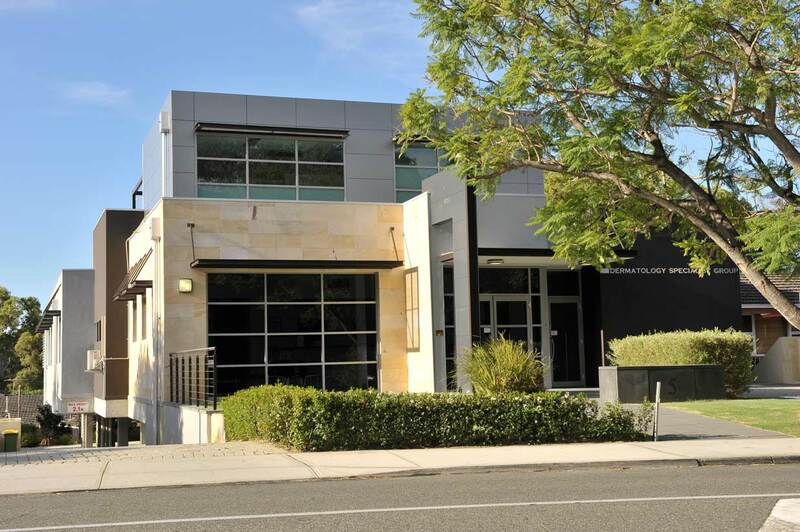 Maximum design delivers maximum profits for dermatology practice on small suburban block. 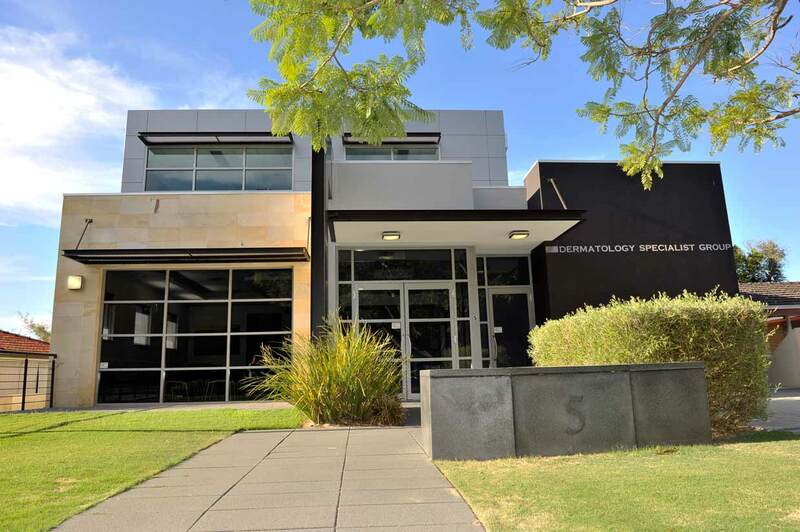 This three storey commercial development was designed for a group of six dermatologists who worked in the central Perth suburb of Ardross. The ground floor reception, offices, theatre and procedure rooms are serviced by a lower ground eighteen car bay carpark and first floor kitchen and staffroom above. The architectural brief required each doctor’s consulting room and associated procedure rooms be an exact dimension from the waiting room and reception area to maximise daily appointment patient numbers for each individual doctor and the for feasibility of the commercial development. 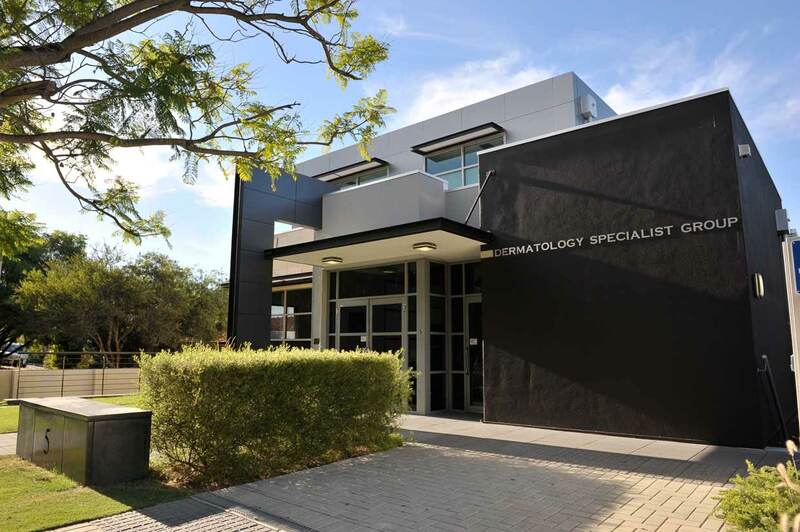 The previously residential zoned lot required lengthy negotiation and consultation with council planning officers to ensure the medical suites conformed to the City of Melville’s Local Planning Scheme and was subsequently unanimously approved by Council. 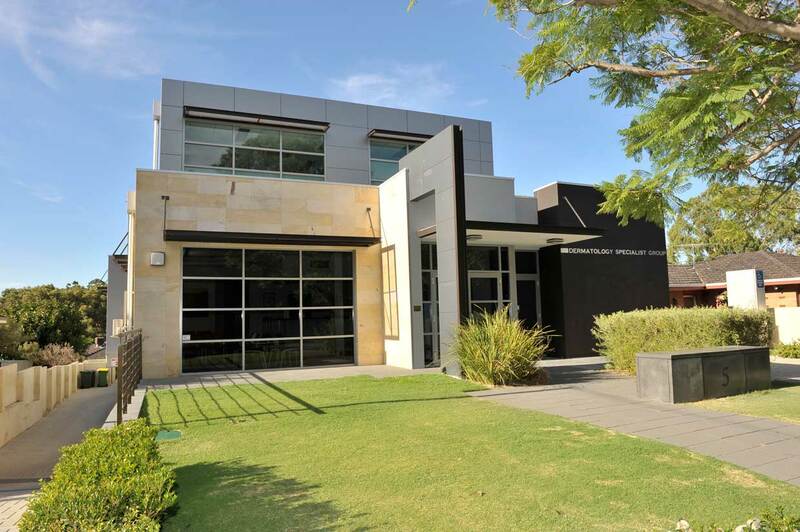 Meticulous massing, project planning and architectural detailing ensured the over-looking and sight lines into adjoining residential properties were avoided and the commercial project adhered to the Health Department of WA Private Hospital Guidelines.